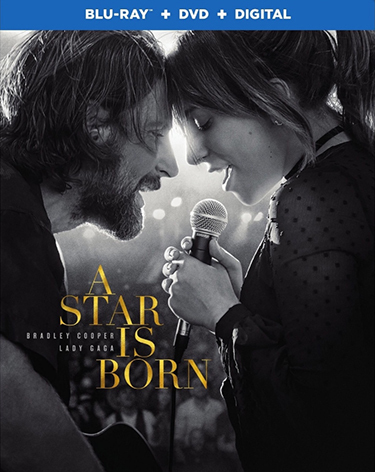 “A Star Is Born” recently received five Golden Globe nominations, including Best Motion Picture – Drama; Best Director – Motion Picture, Bradley Cooper; Best Actress in a Motion Picture – Drama, Lady Gaga; Best Actor in a Motion Picture – Drama, Bradley Cooper; and Best Original Song in a Motion Picture, “Shallow.” The film also received three awards from the National Board of Review, including Best Director Bradley Cooper, Best Actress Lady Gaga, and Best Supporting Actor Sam Elliott, as well as four Grammy Award nominations for “Shallow” for Record Of The Year, Song Of The Year, Best Pop Duo/Group Performance, and Best Song Written For Visual Media. 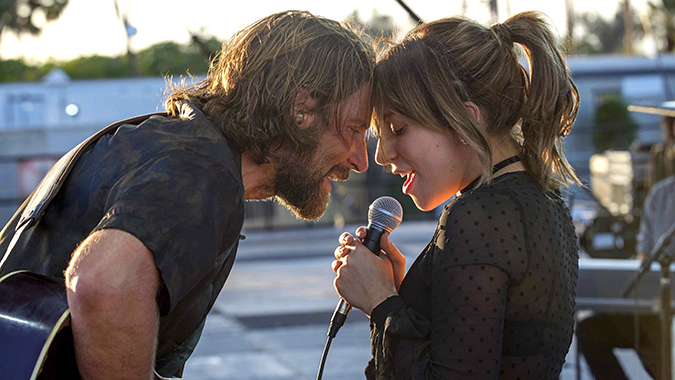 The 4K Ultra HD Blu-ray disc of “A Star Is Born” will feature Dolby Vision HDR that dramatically expands the color palette and contrast range and uses dynamic metadata to automatically optimize the picture for every screen, frame by frame. 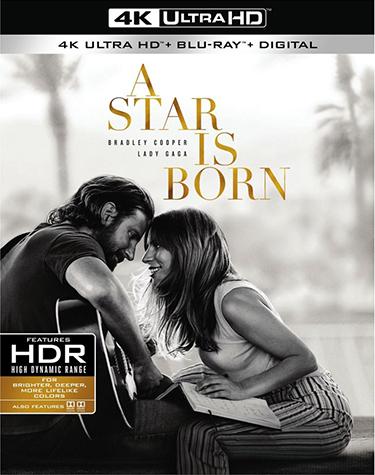 The 4K Ultra HD Blu-ray disc of “A Star Is Born” will also feature a Dolby Atmos soundtrack remixed specifically for the home theater environment to place and move audio anywhere in the room, including overhead. To experience Dolby Atmos at home, a Dolby Atmos enabled AV receiver and additional speakers are required, or a Dolby Atmos enabled sound bar. Dolby Atmos soundtracks are also fully backward compatible with traditional audio configurations and legacy home entertainment equipment. “A Star Is Born” will also be available on Movies Anywhere. Using the free Movies Anywhere app and website, consumers can access all their eligible movies by connecting their Movies Anywhere account with their participating digital retailer accounts. Fans can also own “A Star Is Born” via purchase from digital retailers beginning January 15.